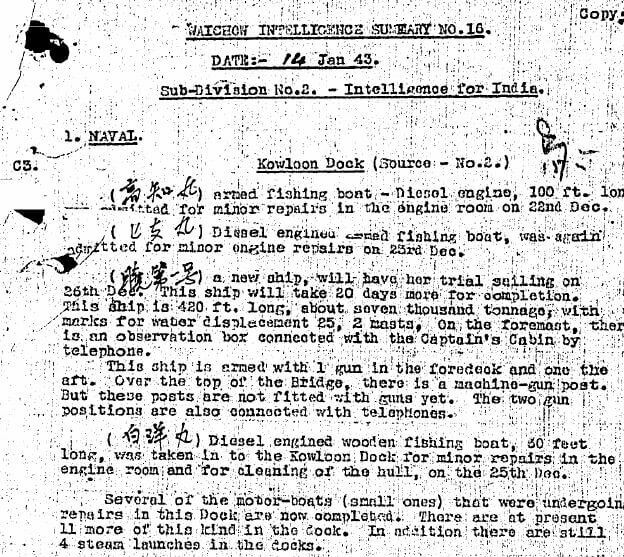 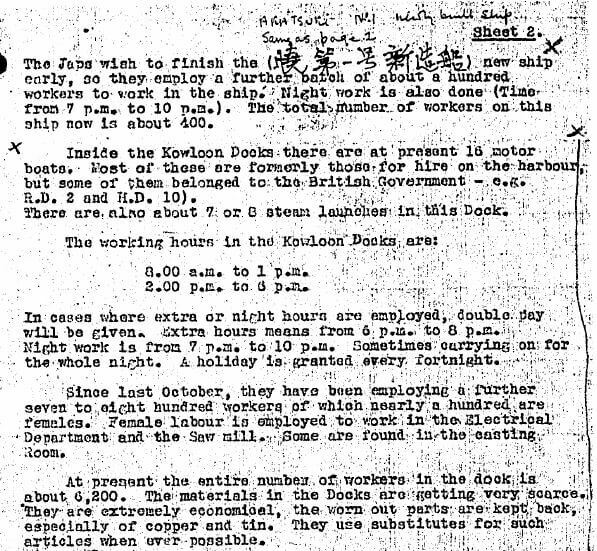 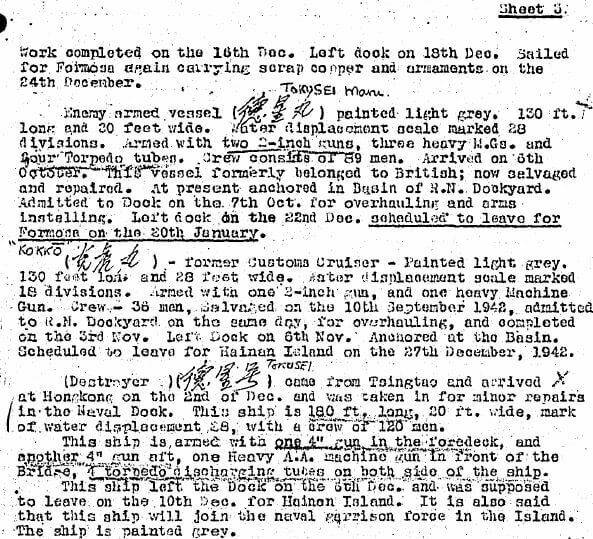 Elizabeth Ride has sent the Naval section of a British Army Aid Group (BAAG) Waichow Intelligence Summary (WIS No.16) dated 14th January 1943. 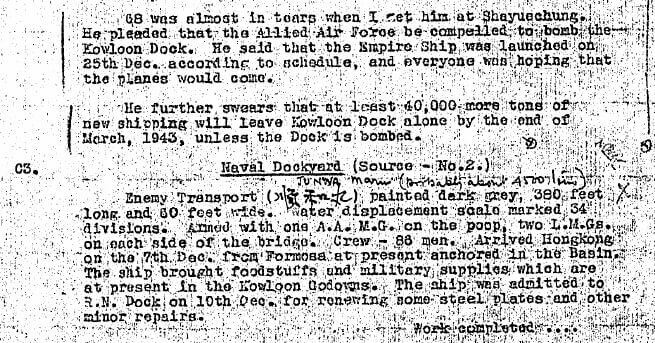 This covers shipping movements in and out of Hong Kong during the Japanese occupation in World War Two during mid to late December 1942. 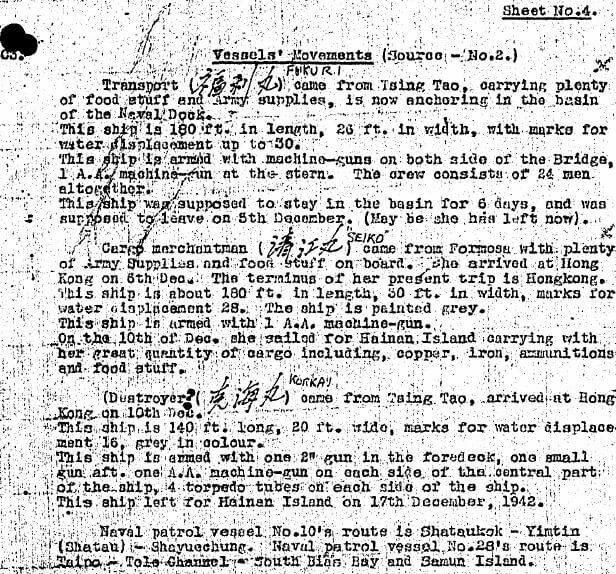 This article was first posted on 18th June 2017.